Stella Cameron also writes as Jane Worth Abbott with Virginia Myers and as Alicia Brandon with Linda Rice. Stella Cameron discusses Darkness Bound . Stella Cameron was born on December 5, 1943 on the southern coast of England. As a young girl, she was a self-professed reading "addict", devouring all types of literature. Stella met her American husband at a party in London. After their marriage, she left England and went with husband Jerry to Washington State to make a home and raise a family. They live near Seattle, and have three children, one married. Her pets, a dog named Spike and a cat named Raven, are her constant buddies. In 1980, Stella decided she wanted to write professionally. She attended writing classes and wrote short literary fiction for a year. It was during this period that Stella discovered how well-written and intense romantic fiction could be. Using her newly acquired writing skills, she began to write contemporary romantic fiction for Harlequin since 1985. She collaborated with Linda Rice as Alicia Brandon and with Virginia Myers as Jane Worth Abbott. 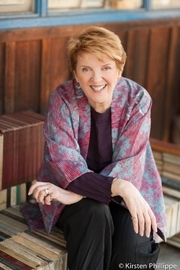 Now, she is the New York Times, USA Today, and Washington Post bestselling, award-winning author of more than 50 historical and contemporary romantic suspense novels and novellas. Stella has won numerous awards and accolades. Stella Cameron's book Out of Mind was available from LibraryThing Early Reviewers. Stella Cameron is currently considered a "single author." If one or more works are by a distinct, homonymous authors, go ahead and split the author. Stella Cameron is composed of 4 names. You can examine and separate out names.